Join us as we celebrate winter with fun outdoor and indoor activities at our annual Winterfest on Saturday January 26th at Washington Park. All are welcome to this free family festival! 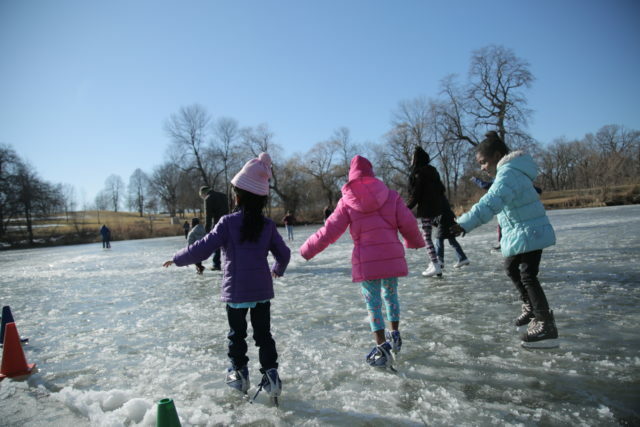 If we’re lucky enough to get the weather we want, we’ll have great winter activities like sledding and ice skating on the Washington Park lagoon. If the snow’s a no-show, we’ll still have arts, crafts, homemade pie and guided nature walks to take advantage of the unusually warm weather.